This is an in progress commission for a great regular customer. I hope he likes it! Nice! 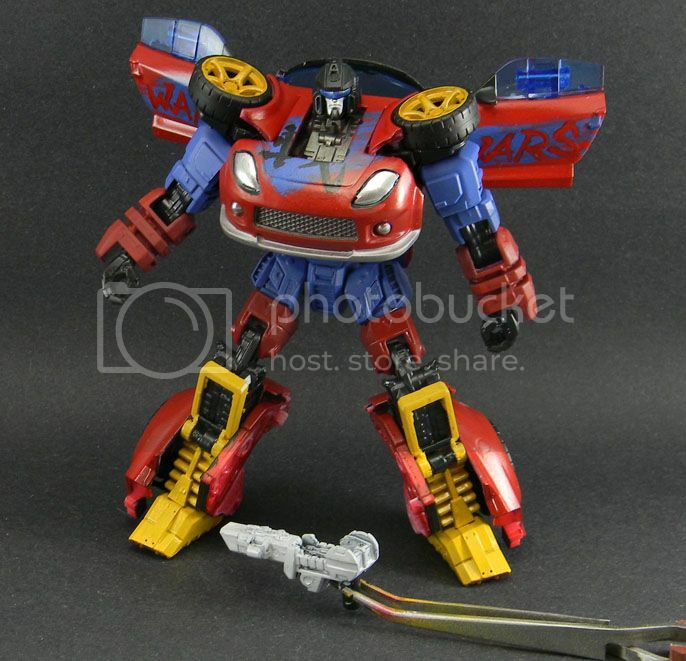 I do have a question though, how come Tread Shot has an Autobot symbol on his hood? Or is that supposed to be Side Swipe or whoever Treadshot's colors were designed after? Also, we should touch base on Dead End, hey? He looks far too heroic for a 'Con symbol, SG or not and he's kinda my Nightbeat. And yeah, shoot me an email about that Dead End. Let's talk. Will do! I'm on vacation this week, but we can touch base next week.